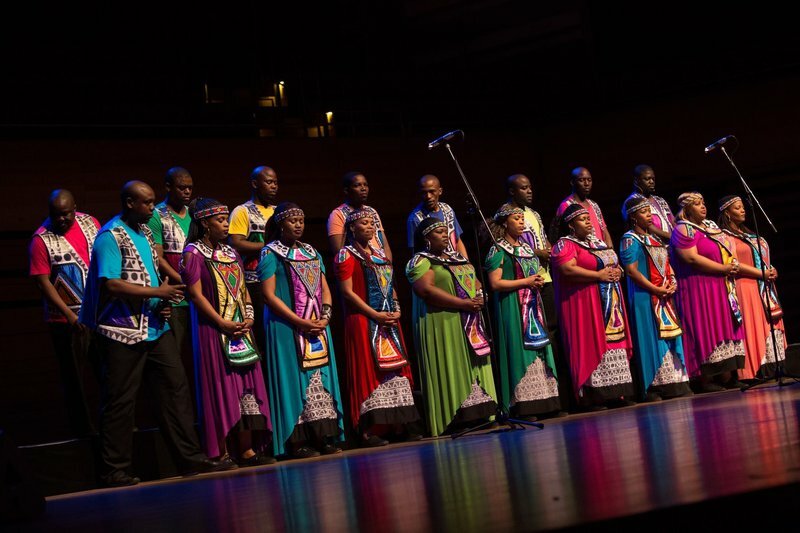 South Africa’s Soweto Gospel Choir wins third Grammy! We are ecstatic to announce that Soweto Gospel Choir walked away with yet another Grammy Award! The hugely successful Soweto Gospel Choir scooped up the Best World Music Album trophy for their album 'Freedom' at the 61st Grammy Awards, held at a glittering event in Los Angeles on Sunday. This was the group's fifth nomination in this category and they have now won the prestigious award a total of three times. Receiving the award on behalf of Soweto Gospel Choir were album producer Diniloxolo Ndlakuse, Shimmy Jiyane, Mary Mulovhedzi, and Mulalo Mulovhedzi, whose late father David Mulovhedzi co-founded the group with Producer/Director Beverly Bryer 17 years ago. Of course Soweto Gospel Choir are no strangers to international and African accolades and awards, having previously won an EMMY for their collaboration with global pop icons U2 as part of ESPN’s 2010 FIFA World Cup coverage (tied with Rihanna and Jay-Z’s Superbowl performance), as well as four South African Music Awards. The group was also nominated for an Oscar for their collaboration with Peter Gabriel on the theme song for the film 'Wall-E'. The Grammy Award-winning album 'Freedom' was recorded in June 2018 as part of the group's tribute to the 100 Years of Mandela celebrations. It features a selection of South African struggle songs, including their scintillating version of Johnny Clegg's poignant 'Asimbonanga'. The album was released in the United States where the group has just completed a highly successful three-month long tour. Further tours are planned for 2019, including an Australasian tour scheduled for July through September, and locally, a performance at this year’s Cape Town Jazz Festival in March.